COE High Resolution Area Scan cameras are designed to provide high-resolution images, using the latest High Res sensors that offer both quality and speed. The rugged design allows these high-resolution sensors to perform under harsh conditions in the most demanding environments. Several image quality enhancing features include pixel correction, column defect correction, flat-field correction, white balancing and much more. Combined with our large format TC16M telecentric optics, or our MC12K Macro Lens, you have a winning solution! COE HR AS cameras are purpose built for inspection applications by utilizing the highest resolution sensors available. 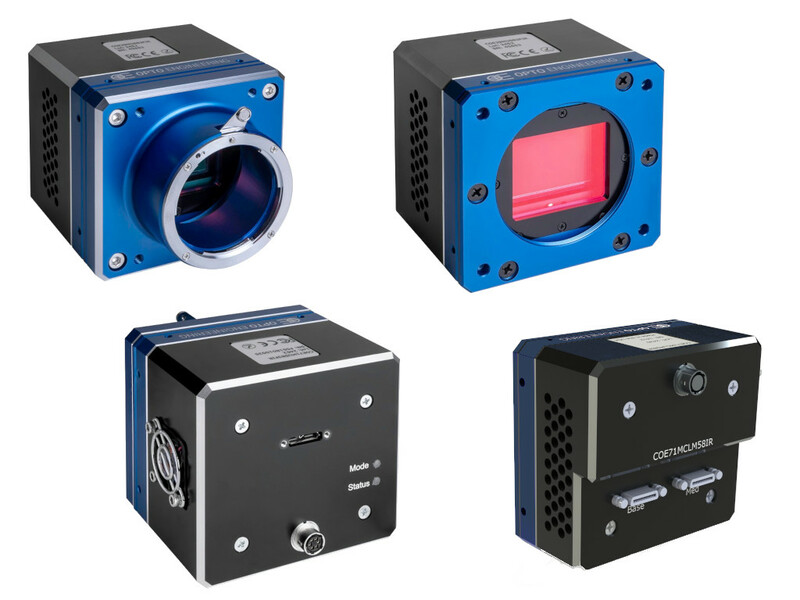 These cameras have all the rugged features, such as industrial design, military de-rated components, and a CNC machined case. Fan cooling insures minimum dark current and excellent image quality. Sensors are 3-point mounted for edge-to-edge sharpness and flatness across the entire image. Additional features include: low smear, blooming suppression, 12-bit data paths, advanced triggering and built-in detectors that analyze camera performance, and image processing to remove sensor defects. 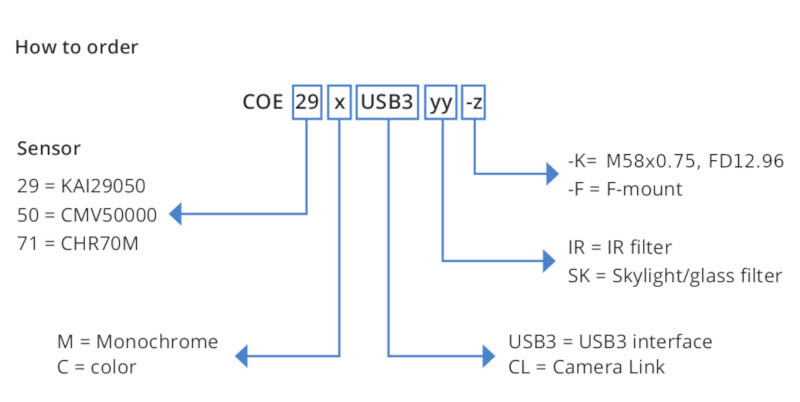 COE HR AS cameras are available in USB3 or Camera Link, offering high speeds and reliability. Different filter options and a choice of lens mount allow for easy integration that is perfect for measurement applications, high resolution inspection, security and more. Using the latest industrial components, these cameras are built to last and allow for extended temperature ranges. Camera Link offers high speed data rates, and direct accessing of the camera sensor. Built-in features include pixel correction, column defect correction, white balancing, flat-field correction. Many Opto Engineering® Telecentric lenses match these 35mm sensors for the best optical performance.